Synopsis: ‘In DARK PHOENIX, the X-MEN face their most formidable and powerful foe: one of their own, Jean Grey. During a rescue mission in space, Jean is nearly killed when she is hit by a mysterious cosmic force. Once she returns home, this force not only makes her infinitely more powerful, but far more unstable. Wrestling with this entity inside her, Jean unleashes her powers in ways she can neither comprehend nor contain. ‘With Jean spiralling out of control, and hurting the ones she loves most, she begins to unravel the very fabric that holds the X-Men together. Now, with this family falling apart, they must find a way to unite — not only to save Jean’s soul, but to save our very planet from aliens who wish to weaponize this force and rule the galaxy. With Solo: A Star Wars Story in cinemas soon, it appears the distributors of The Yellow Birds is going to mean interest in Alden Ehrenreich is going to skyrocket. In the US, the movie is getting an exclusive DirecTV window from May 17th before arriving in cinemas and on-demand on June 15th. Steven Spielberg is a very busy man. He’s recently finished shooting Ready Player One for release early in 2018. While that film is in post-production, he’s making The Papers with Tom Hanks and Meryl Streep, which is due out around Christmas. 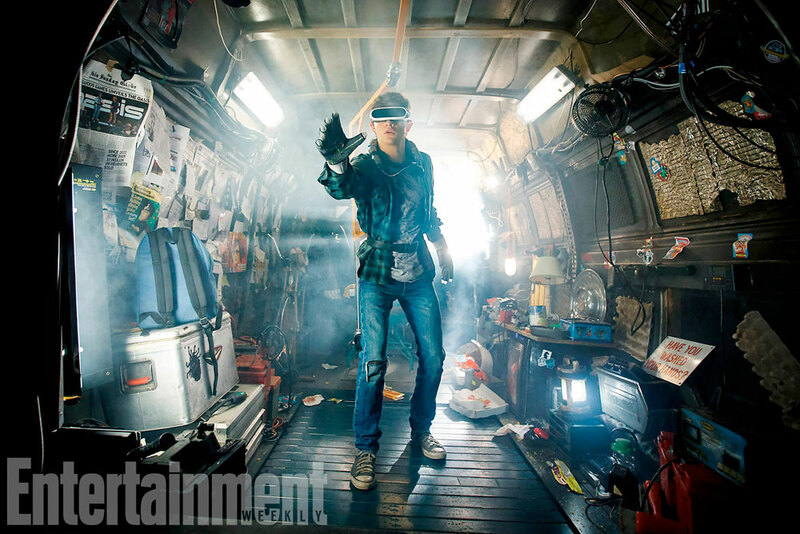 Now we’ve got our first look at Ready Player One, via EW. Tye Sheridan, TJ Miller, Mark Rylance, Simon Pegg and Olicia Cooke star. It’ll be in cinemas during March 2018. Final X-Men: Apocalypse Trailer – Can a mutant destroy the entire world? In just a few weeks the mutants are returning and facing the awesome power of Apocalypse – an ancient mutant who is so powerful he has been worshipped as a god, and who isn’t impressed with the modern world. The final trailer is here to suggest this is going to be pretty epic. It’s just over a month until the Apocalypse! Well, until X-Men: Apocalypse anyway, and in anticipation, 20th Century Fox has released a set of character banners mutants old and new. You can take a look at them below.